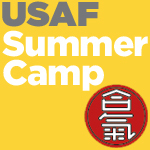 AT THIS TIME WE HAVE CLOSED ALL HOTEL RESERVATIONS THROUGH THE USAF SUMMER CAMP ROOMING BLOCK. THOSE ON THE WAITING LIST WILL BE NOTIFIED IN EARLY JULY IF ANY ROOMS BECOME AVAILABLE. THERE ARE CURRENTLY VERY FEW CAMP PACKAGES AVAILABLE. IF YOU HAVE A HOTEL RESERVATION (OR IF YOU ARE ROOMING WITH OTHERS WHO HAVE A RESERVATION) BUT HAVE NOT PURCHASED YOUR CAMP PACKAGE, PLEASE DO SO AS SOON AS POSSIBLE TO BE GUARANTEED A PLACE AT THE CAMP DINNERS. Please remember that breakfast at the Stockton Seaview Hotel is only available for reservations that were made through the camp portal, and for the mornings that you wake up in the hotel after your prior night’s reservation. All roommates must be registered with the hotel in order to stay in a room, and breakfast tickets will only be allotted to those who have a reservation. – please note that the hotel is doing all it can to accommodate you for your full stay but may not be able to provide an update regarding your Friday night wait-listed status until early July. As a precaution, you may want to make off-site hotel arrangements. -please email karendepaola@usaikifed.com for information about how to add your name to the rooming list with your roommates. – we encourage you to make off-site hotel arrangements for your accommodations. If you wish to be added to the camp waiting list for on-site accommodations, please email karendepaola@usaikifed.com with your desired arrival and departure dates once your alternative hotel reservations have been completed. -you may purchase a camp package (aikido and dinner- full or half week while available) online at www.usafsummercamp.com, and make reservations at an off-site hotel. If you wish to be added to the camp waiting list for on-site accommodations, please email karendepaola@usaikifed.com with your desired arrival and departure dates once your alternative hotel reservations have been completed. – if camp packages become sold out, you may purchase day passes which do not include the camp dinners. -day passes remain available for those who will not be attending for either a half or full week.